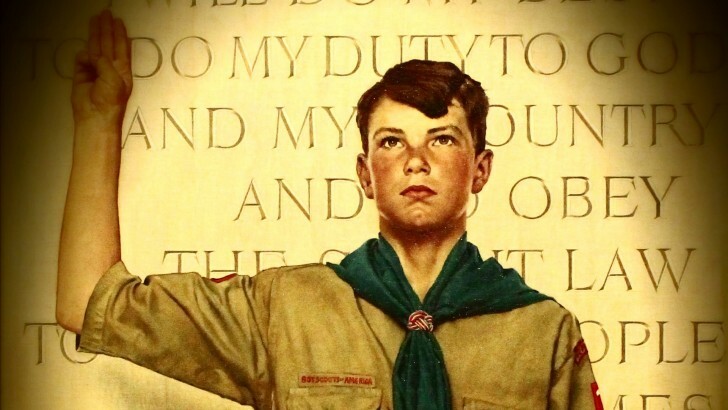 Just How Unfair is the California Supreme Court’s Ruling on the Boy Scouts? Prohibiting judges from participating in intimate associational activities with their children implicates the constitutional rights of families (and as a matter of policy improperly interferes with important familial relationships). See, e.g., Wisconsin v. Yoder, 406 U.S. 205 (1972)…. Adult participants in the Boy Scouts are leaders. Expressive associational and religious freedom interests are at their zenith, and the right of the government (though still very limited) to burden such interests is at its nadir, when choice of and participation in leadership is at issue. See, e.g., Boy Scouts of America v. Dale, 530 U. S. 640, 648 (2000). Consider also the recent Hosanna-Tabor decision, and Roberts v. United States Jaycees, 468 U. S. 609 (1984). Prohibiting a judge who is a member of a religious congregation from participating in its scout troop (or cub scout pack) prevents the judge from fully participating in the life of his or her religious congregation, and in that congregation’s ministry. It comes close to a religious disqualification based on the judge’s religious activities (and could even be a form of attainder or “black-listing,” a practice with a very unfortunate history). The United States Constitution explicitly prohibits religious tests for any public office. The prohibition also runs afoul of the protection of religious rights of parents with regard to the building of character of their children, see Wisconsin v. Yoder, supra, which is a key purpose of the Boy Scouts. Just goes to show you how sick our society has become because of the vocal minority that has no moral compass and insists everyone go along with their lifestyles. I have always said: If it is morally wrong when they tell us we can't do something---do it anyway. If we cave in to them we lose. They can't fight, and win, if everyone sticks together and refuse to comply with their so called "rulings". What are they going to do about it? It appears that the Supreme Court of the State of California is the ultimate arbitrator as to who and what is prejudicial - thereby creating a conflict of interest for jurists - and has therefore declared that an organization dedicated to the betterment of young men is such a prejudiced organization. How it is possible that all of the judges agreed with this decision is beyond understanding. It is a sad comment on society that so many have bought into the false compassion and subsequent manufactured outrage towards organizations that are concerned for the safety and well-being of its minor (in age) participants, believing that some choices can be harmful to those children.